Have I mentioned before how much I love dolphins? I feel so blessed to have had the chance to swim with bottlenose dolphins in Mexico and spinner dolphins in Hawaii. Not only do these amazing creatures look like they’re permanently smiling but they also seem to have such a playful character and outgoing personality. Dolphins also seem to have a mischievous sense of humour as we found out during my bachelorette party in Cancun. While the dolphins were performing their final tricks for us one of them decided to leave us with a parting gift. We were all grossed out but somehow found it funny despite being so close to dolphin poop. It’s almost like they’re a distant relative to dogs. Also, did you know killer whales are dolphins too? I had no idea until I checked out these cool dolphin facts on Greenpeace. With all these awesome things about dolphins it’s no wonder I had to churn out this crochet dolphin amigurumi for Dolphin Day. Don’t you just wish you could have a dolphin of your own to hang out with? 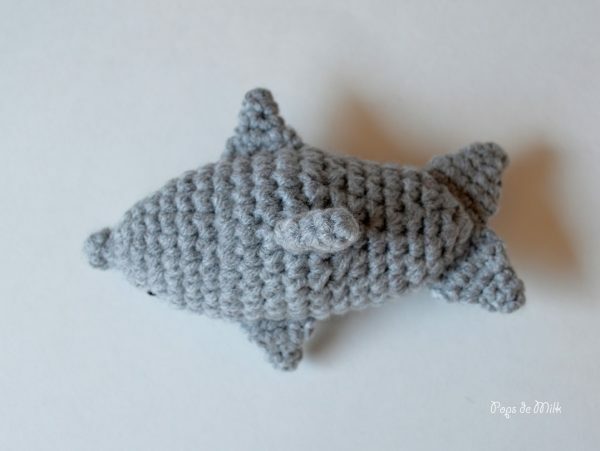 What about a crochet pattern? You can find the pattern PDF in my shop. 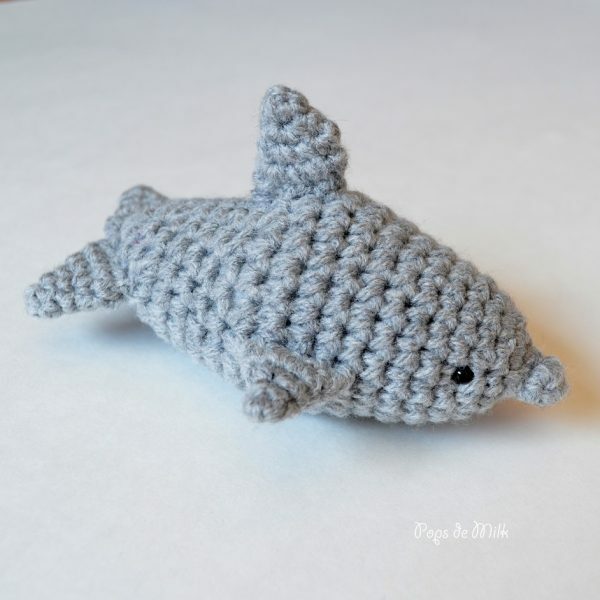 This would make such a great gift for a dolphin lover or maybe you’re trying to put together your own yarn aquarium, which sounds pretty awesome. The pattern is designed to challenge beginner crocheters who are ready for their next fun project.